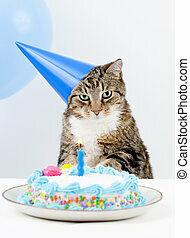 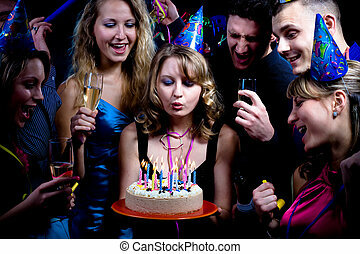 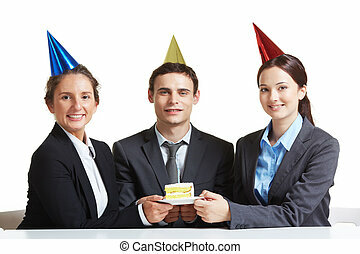 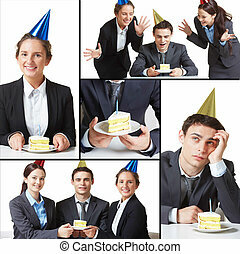 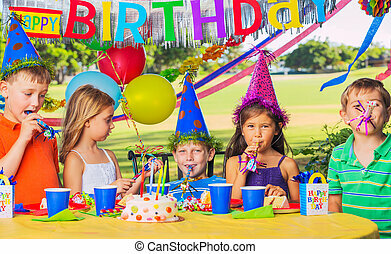 Birthday party. 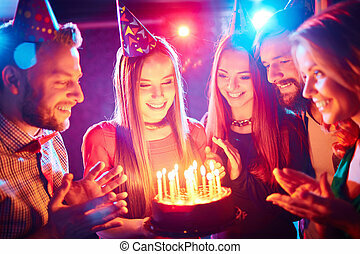 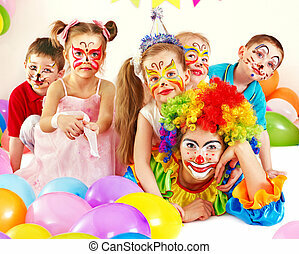 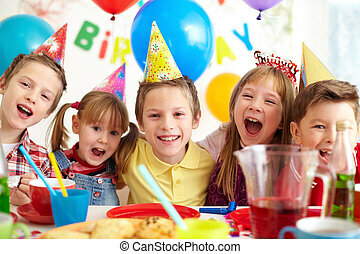 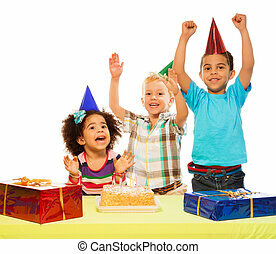 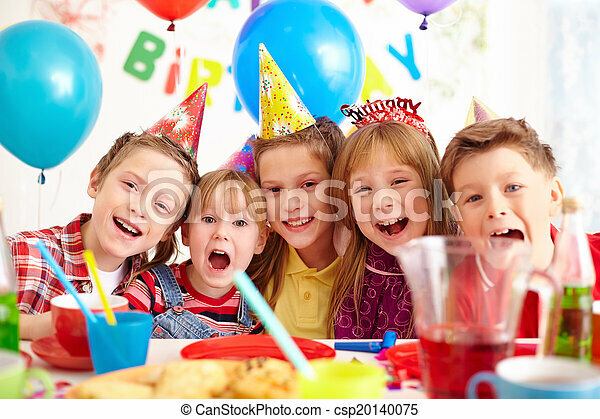 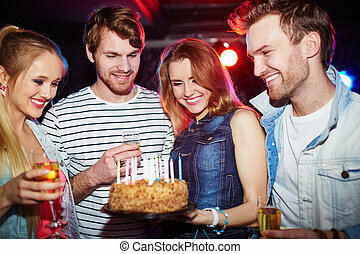 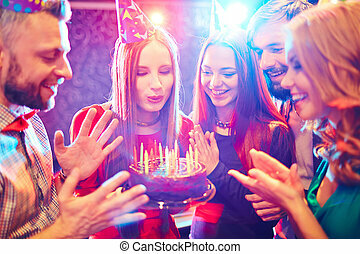 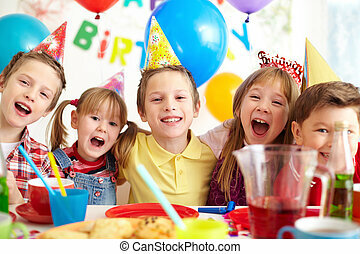 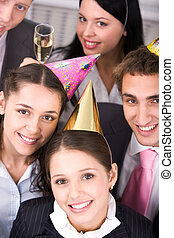 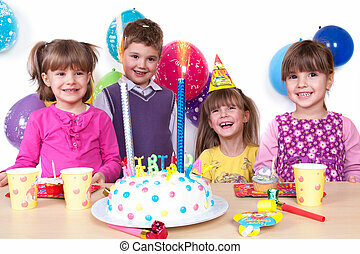 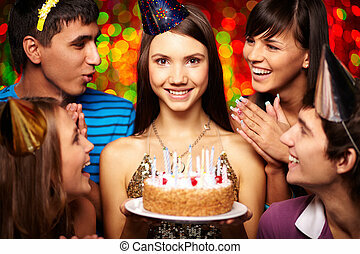 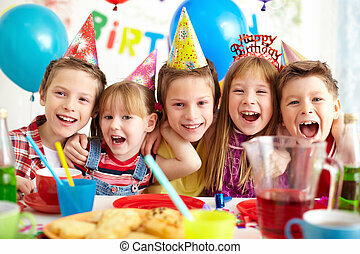 Group of adorable kids looking at camera at birthday party. 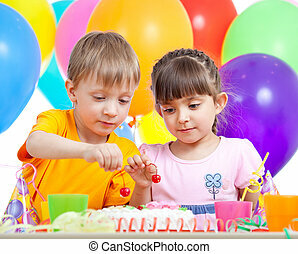 Colorful sweets for kids birthday party celebration. 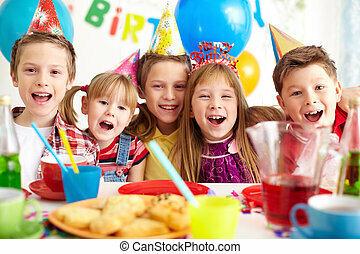 Child happy birthday party . 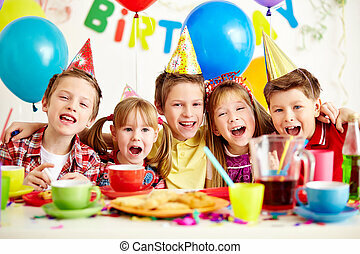 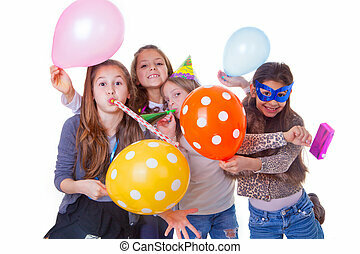 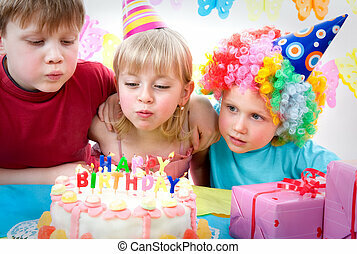 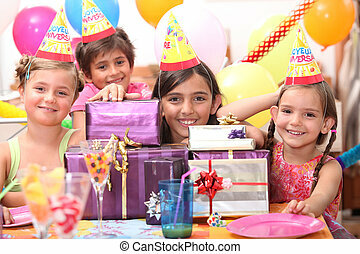 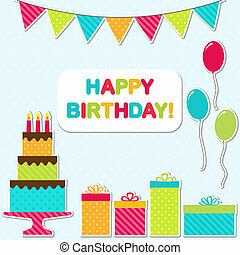 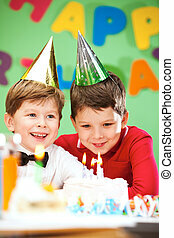 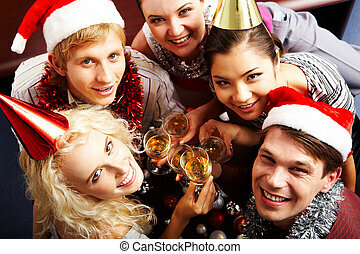 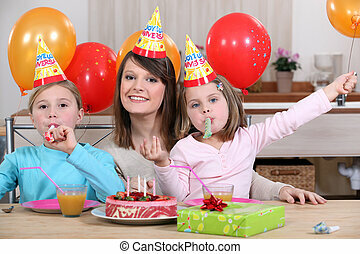 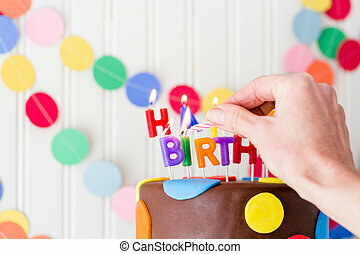 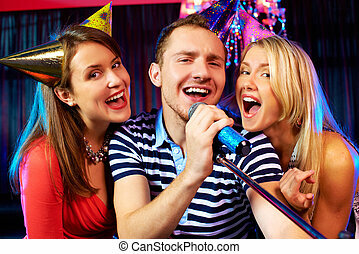 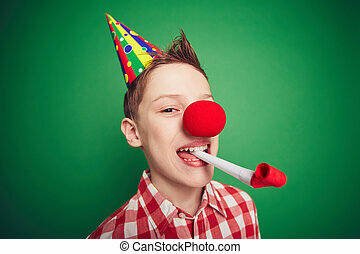 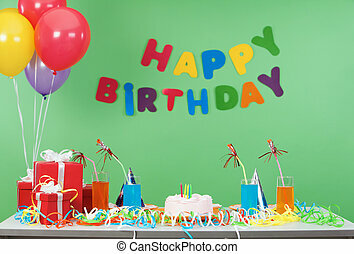 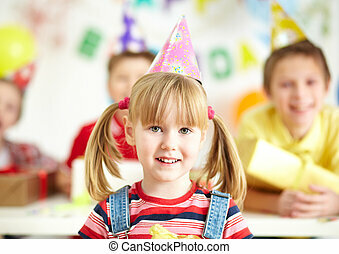 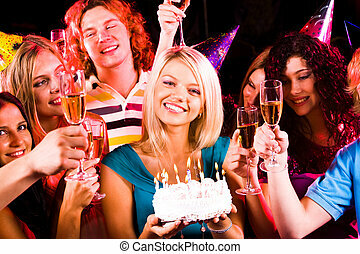 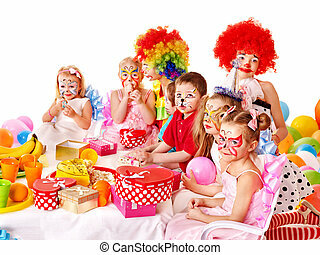 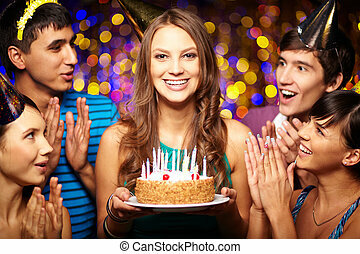 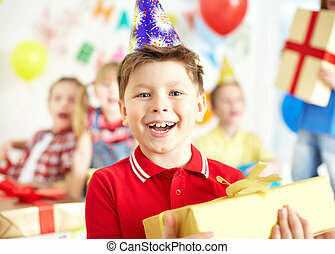 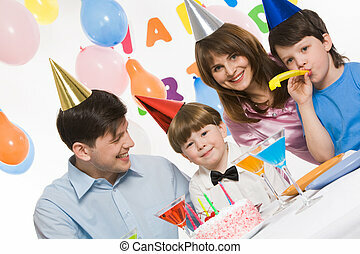 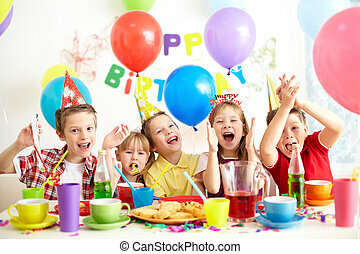 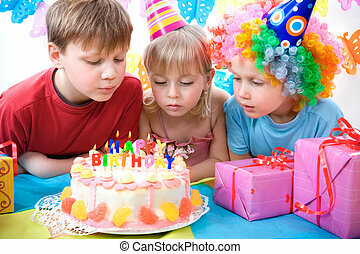 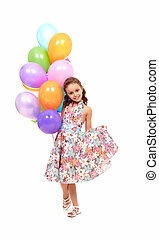 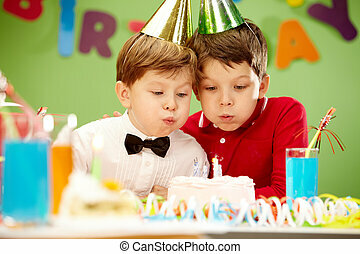 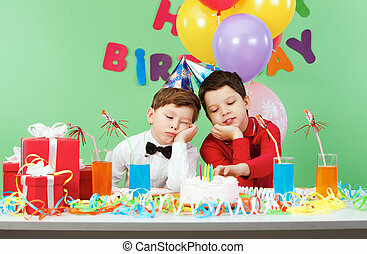 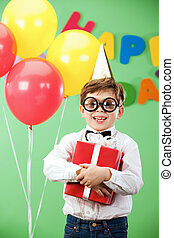 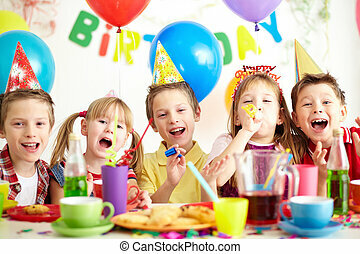 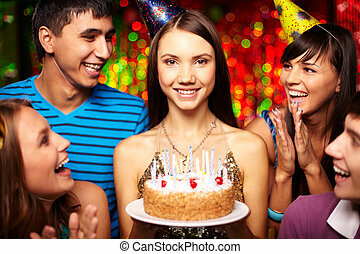 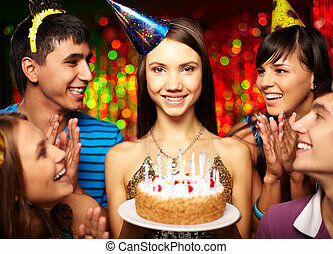 Children happy birthday party .